We are on the lookout for enthusiastic individuals who would like to combine their skills and experience with their passion for technology and helping people with the latest gizmos and gadgets. 1) Field Technician – if you can install Windows/iOS blindfolded then read on. 2) Helpdesk – love helping people and understand technology? Then this is the job for you! 3) Digital Marketing Specialist – passionate about digital marketing? Then we want to hear from you! Seriously, who doesn’t want flexible work week? As independent contractors, our technicians have full control over when and where they work. They simply elect what technologies they love to work on, which suburbs they would like to service and when they are available to complete jobs using our proprietary web-based platform. We book jobs in their available time slots and send them through a courtesy notification by SMS and email. We will happily fit in with your schedule and help to fill any gaps in your week with our work. We offer a wide range of value added services to our customers and as a result, no two service calls are the same. Our technicians help with hardware and software repairs, wireless and wired network set-up, virus and spyware prevention and removal, device setup (from Smart TVs, to tablets and mobile phones), data backup and recovery solutions and just about any other type of technology support our customers require at their homes or offices. We know that self-employed technicians love getting down to the hands-on technical work; no-one goes into the IT business so they can organise advertising and billing. We do all of that for its part of the deal you. Contracting to The Original PC Doctor means that we take care of all the advertising, scheduling and administration. The technicians get to do the fun stuff and see the smile on a customer’s face after a job well done. Sound good? We are always looking to expand our technician network, Australia-wide! Want some more information? Please submit your company or professional profile with a cover letter using the form below. Please note: Due to the requirements of this opportunity, a criminal history check will be undertaken on preferred applicants. Does the thought of making a customer smile give you the urge to do a celebratory fist pump? Is helping to solve a customer’s problem something that you were born to do? Then this job is for you! Our Customer Service Specialists are pivotal to the success of The Original PC Doctor. We know that nothing is more important to our brand than exceptional customer service, and the wow factor our awesome team provides sets us apart from the pack! We will provide you with in-house training and some technical knowledge and call centre experience is required! If you get a kick out of making people happy and have a knack for customer service, we want you! Interested? If this sounds like the career opportunity you’ve been searching for please call +61399371428. Recently voted in the top 5% of Australian information technology service providers, The Original PC Doctor is an exciting, growing company and now is a great time to be a part of our success story. We are looking for an experienced Digital Marketing Specialist to join the Digital Marketing Team to develop and lead our digital campaigns. 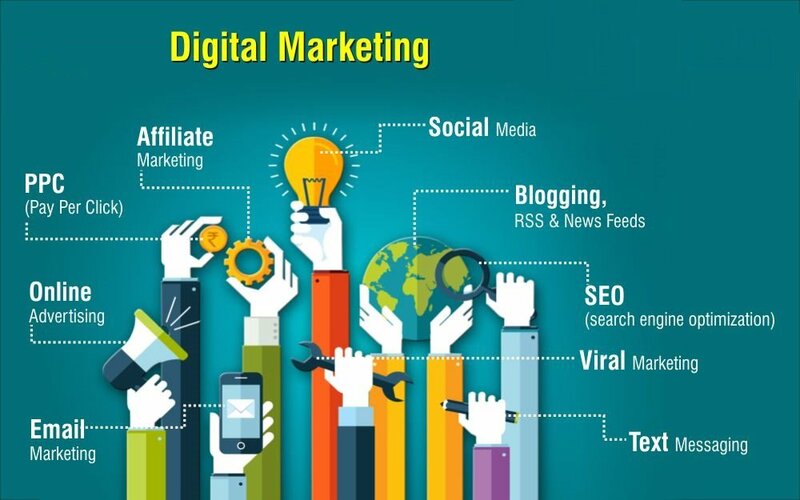 Developing digital strategy and executing campaigns across paid and organic digital channels. Manage and optimise the website for organic traffic optimisation. Managing and grow social media presence. Proactively developing and evolving our digital efforts and look for new opportunities in the digital space. 3+ years’ experience in a similar role within a fast-paced environment. Experience designing the strategy and rollout of successful digital campaigns. Proven technical experience in digital marketing, including PPC, SEO Optimisation, Social Media, and Retargeting. Experience with the Google product suite (AdWords, Analytics, YouTube, Google Display Network). Google or Bing certified candidates will be highly regarded. Experience in managing social media accounts, including through Facebook Business Manager. Experience Google Analytics and data analysis. A positive and motivated self-starter with confidence in your ability to problem solve. Flexible mindset able to adapt to constant changes in the process. Since 2001 The Original PC Doctor has continued its exciting growth trajectory both locally and via nationwide expansion. What else can you expect from The Original PC Doctor? You’ll have fun working with our team and we get excited about helping you continue to grow your knowledge and career… you will be able to hit new heights in your career. We also have a very cool office located in Ringwood and if the local cafés don’t cut it we have a great coffee machine in the kitchen. Interested? If this sounds like the career opportunity you’ve been searching for please call +61399371427 to apply for this role.